The spoonbills’ “spatulate” bill is a strange object. It isn’t sharp, like a heron’s, for stabbing and piercing; nor is it thin, like a stilt’s, for probing into sand and muck; nor is it for sieving things out of the water like a flamingo’s. 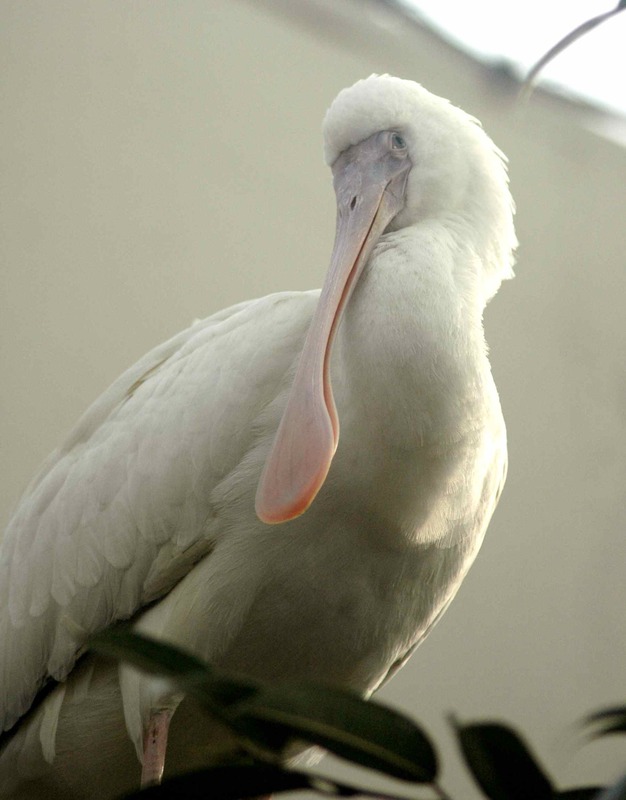 The spoonbill’s tongue is a little triangle in the top of the bill, not reaching much further down than the nostrils. The spoonbill is given to running around with its bill in the water, which makes sense until you think about the shape of the bill, and how hard it must be to run around with it in water—think of holding a shovel, flat-side forward, in front of you and running through water. The water would push against the shovel strongly. Wouldn’t it be easier to run with the bill held above the water? 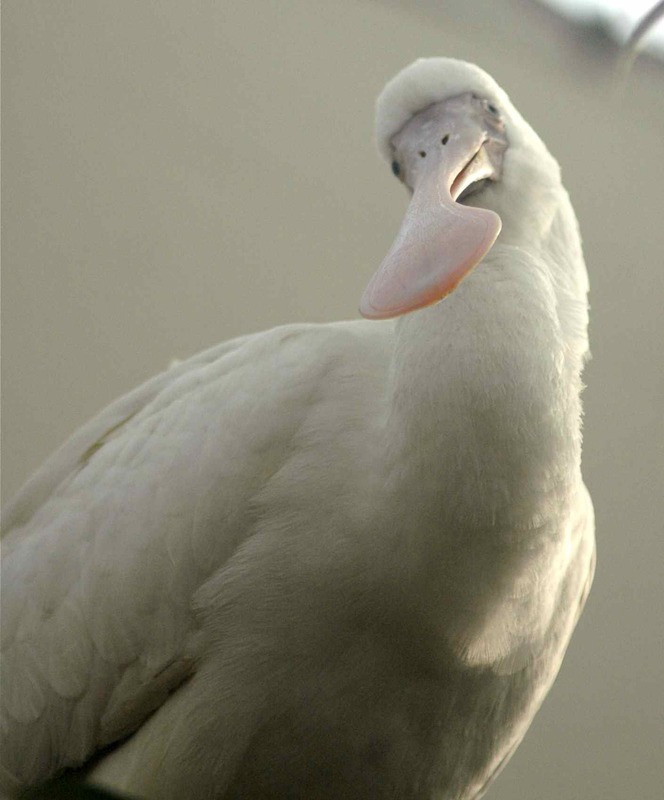 But spoonbills do know what they’re doing. They feed (on things like fish and shrimp) by swishing their bills, open, from side to side through the water, always just keeping their nostrils above the water line. They almost always find their prey by touch, not sight. The round spoon tip of the bill is very sensitive, and when it touches something, the bird snaps shut on it. If it misses, it chases its prey through the water, bill held before it, ready to close as soon as it touches its prey again. When the spoonbill does catch something, it uses little tooth-like ridging on the upper part of the bill—the narrower part—to grip the prey. What? Ends up looking this good, you mean? Inca Terns almost look like regular terns from the back. The correct scientific terms for those facial decorations, if you were wondering, are “fleshy yellow wattles” and “long white mustache.” Sometimes you don’t need jargon. 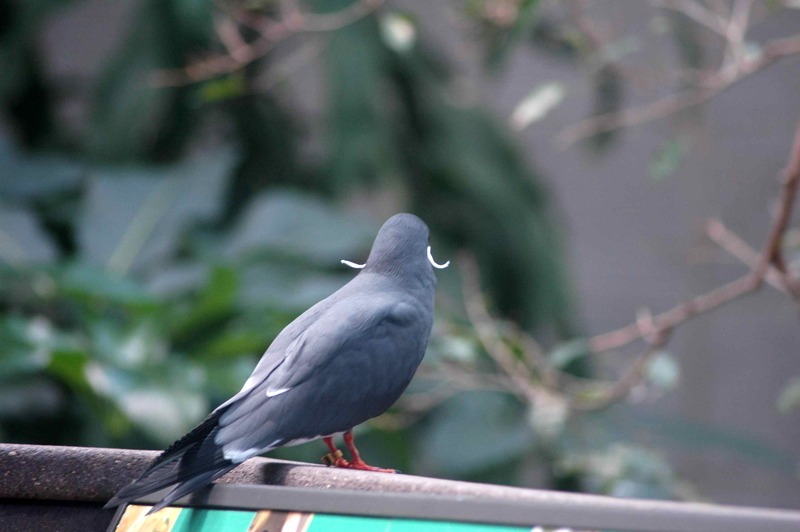 Like many odd bird ornaments, the Inca Tern’s mustache is a signal of condition. Individuals that are in better condition have longer mustaches, meaning that other terns can use mustache length to judge their condition and decide whether to pair up with them. This works, too, because individuals with longer mustaches have more reproductive success: they fledge more chicks, and those chicks are healthier. 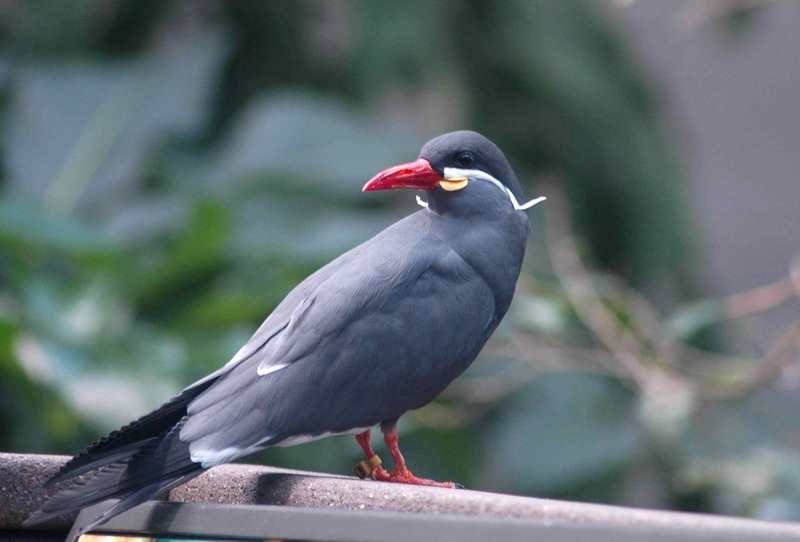 So whether you’re a male or a female Inca Tern, look for a lovely long mustache before you settle down with anyone. 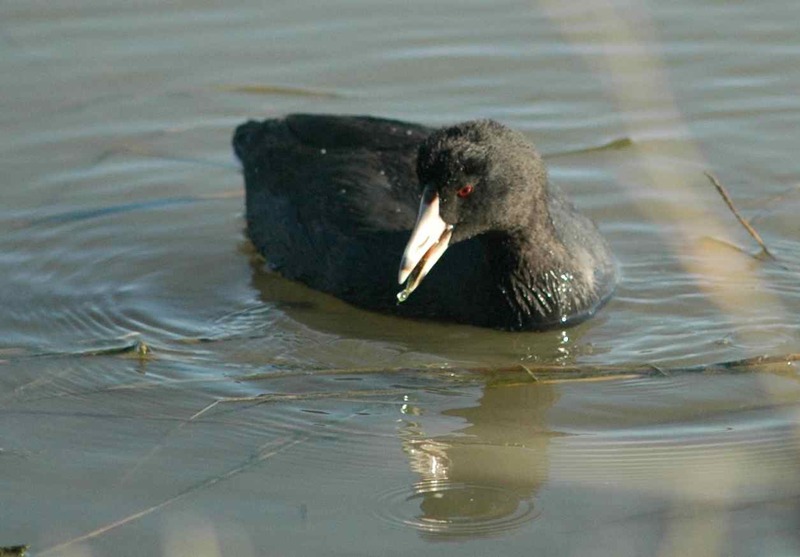 You can spend a lot of time watching coots and not notice how weird they are. They paddle around innocuously, looking—except for the scary red eye—almost like ducks. But what, you should be asking yourself, are they hiding under that water? Look at that foot! How could anyone doubt that birds are dinosaurs, looking at a foot like that? 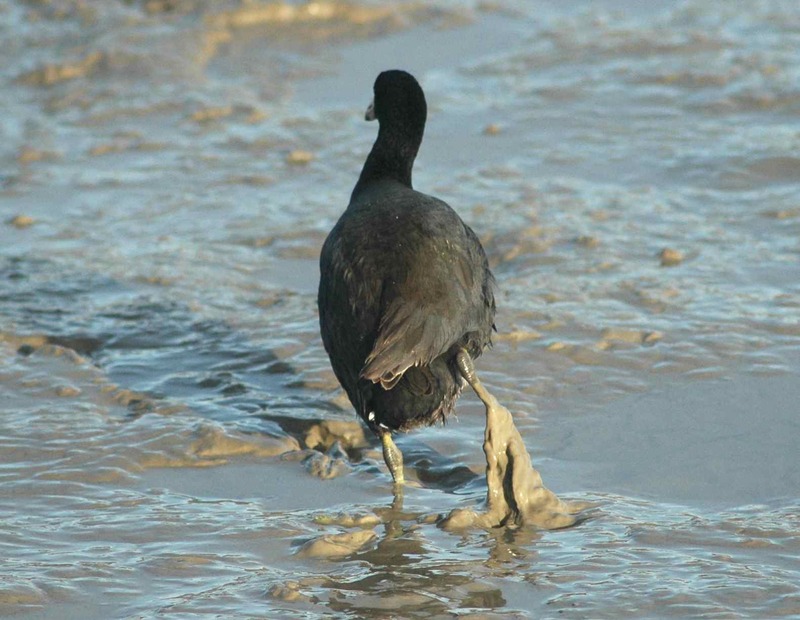 Coot feet aren’t webbed like ducks’ or long and spindly like many other mud-walking birds’: they’re lobed, a sort of compromise. 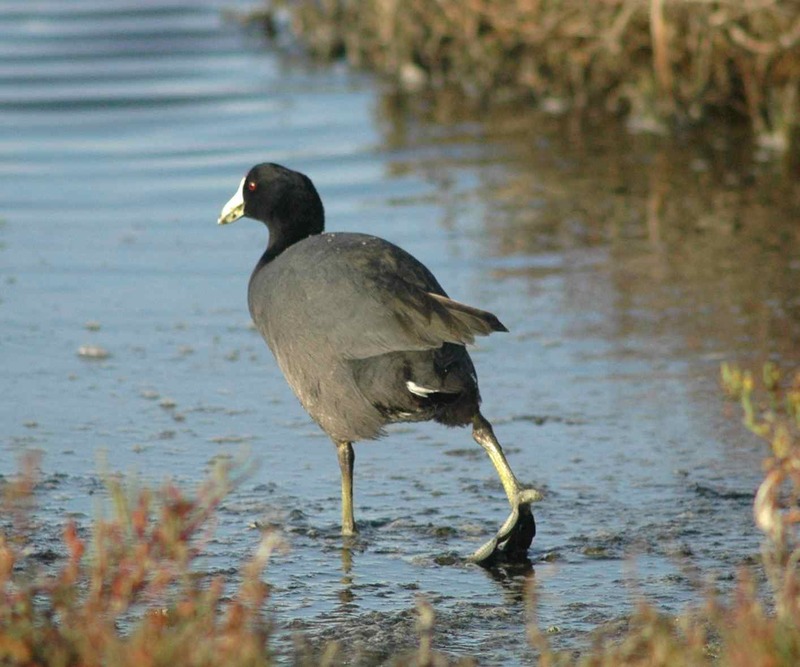 The separated toes still support walking, and the lobes are folded back as the coot lifts its feet when it walks, presumably reducing drag on the foot with each step. Spread out, the lobes work well for paddling around in the water, or for distributing the coot’s weight so that it can stand on soft mud without sinking in (like how big snowshoes let you stand on snow). 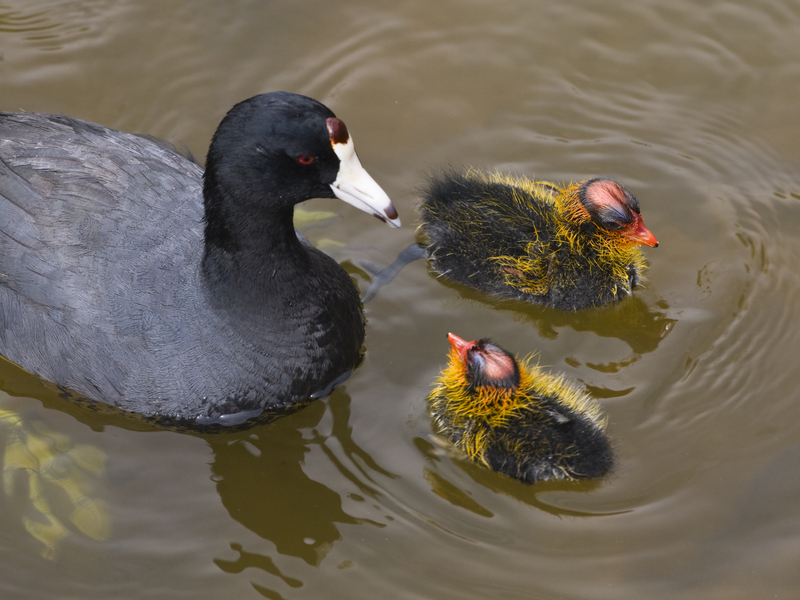 American Coot adult and chicks. Photo from Wikimedia Commons, by Mike Baird. Really, coots, what are you doing? Inca Tern: Velando A, Lessells CM, Márquez JC. 2001. The function of female and male ornaments in the Inca Tern: evidence for links between ornament expression and both adult condition and reproductive performance. 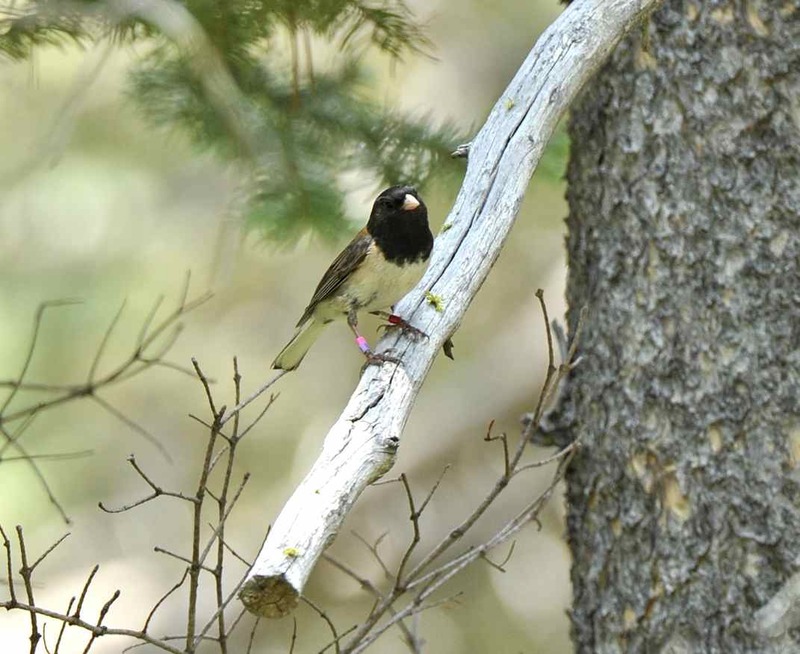 Journal of Avian Biology 32(4):311-318. Spoonbills: Swennen C, Yu Y. 2004. Notes on feeding structures of the Black-faced Spoonbill Platalea minor. Ornithological Science 3:19-124. Swennen C, Yu Y. 2005. Food and feeding behavior of the Black-faced Spoonbill. Waterbirds 28(1):19-27. This entry was posted in general science-y stuff, miscellaneous, other people's research and tagged adaptation, biology, birds, coot, inca tern, morphology, spoonbill by toughlittlebirds. Bookmark the permalink. You picked on two great birds for this post. 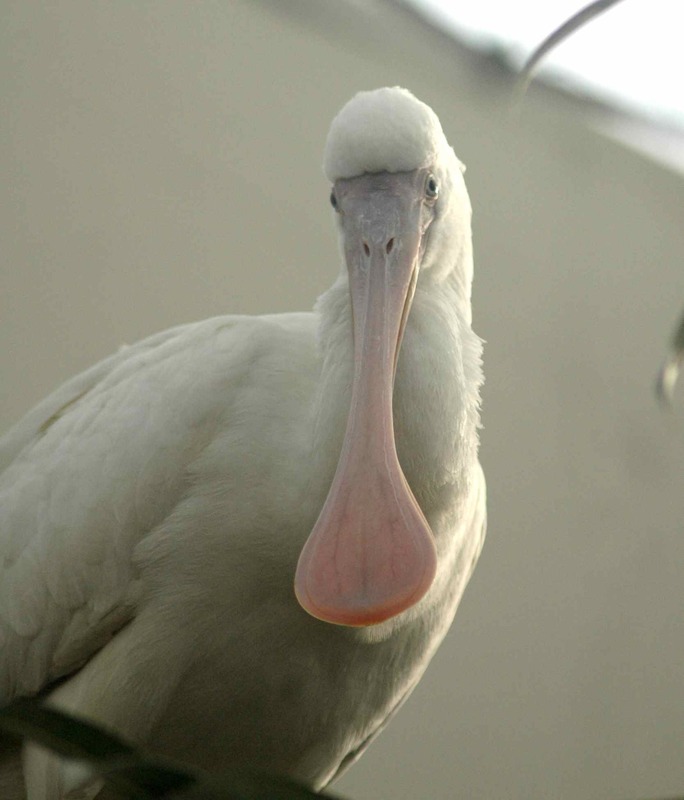 I’ve never seen a spoonbill in person but the pictures are incredible. And your description of how they fish is really almost unbelievable! It’s amazing they don’t starve. I had been photographing coots for a long time but it was only this year that I saw the feet. Your comment about hiding them was exactly right and funny. They are huge! 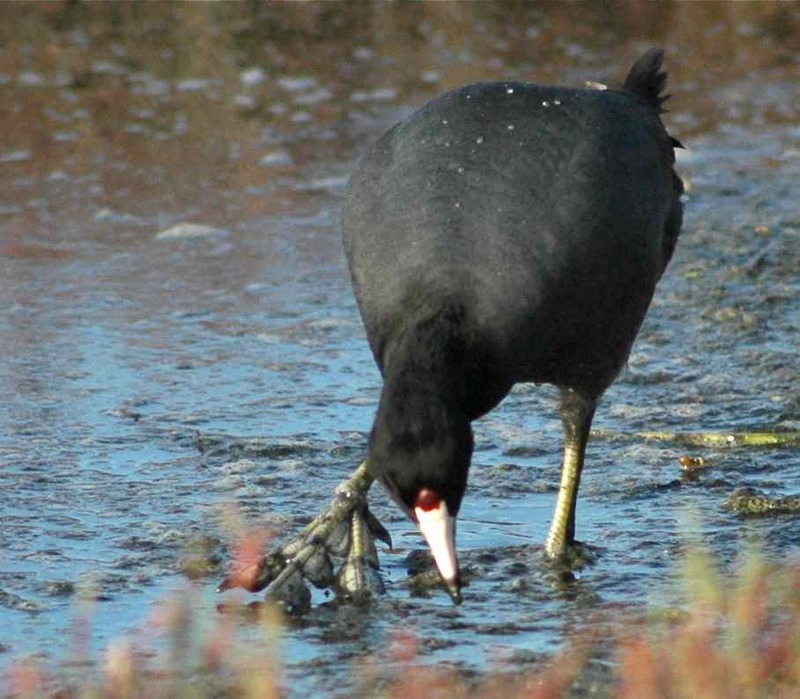 I’m glad you also took a long time to notice coot feet – I was a little afraid that I was the only one! But even when they’re standing, you often can’t see the feet, because they’re hidden by a thin layer of mud. Tricky beasts.